SpecterDev released the PS4 4.05 Kernel Exploit a couple of days ago, and everyone’s been busy providing scripts, payloads, and tools to run the exploit and do a few interesting things with it. It’s hard to keep up, but we’re all starting with the basics. Yesterday, we covered how to update your PS4 to firmware 4.05, a necessary step if you haven’t done it yet. As a reminder, you cannot downgrade a PS4. If you are on a firmware higher than 4.05, you will first need to find a PS4 with a lower firmware. Exploiting the Kernel of your PS4 4.05 opens your console to fun stuff, but also to potential harm. It is important that you download payloads, exploits, etc… from trusted sources, and that, as much as possible, you confirm (e.g. with MD5 checksum) that they have not been altered. There’s real risk that you could brick your console, or worse (either by mistake or if you download a malicious file). Proceed at your own risk! 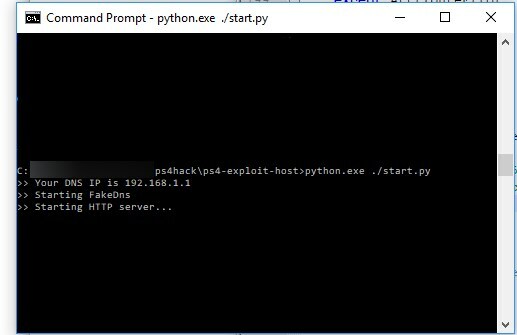 To run unsigned code on a 4.05 PS4, there are two steps: 1) load the exploit through a web page and 2) send the payload to the exploited PS4. 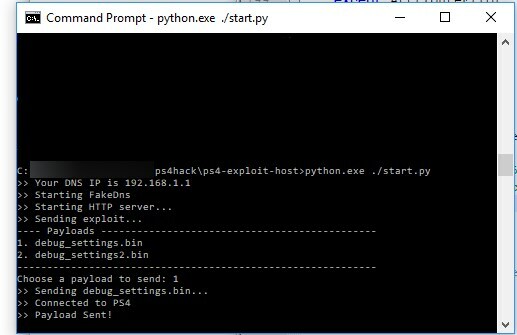 There are many ways to handle these two steps, but I’m going to show what I consider to be the most elegant way to do it for now: using Al-Azif’s Easy PS4 Exploit Hosting tool. There are multiple benefits to the tool, which is why I’ve chosen it: This tool is compatible with windows, linux, and macOS, but also handles multiple aspects of the exploit: it hosts the exploit on an http server, is able to send the payload semi-automatically, and also serves as a proxy for the PS4, blocking unwanted Sony connections. In other words, it’s the swiss army knife of the PS4 4.05 exploit: all-in-one support of everything you need to hack the console, while being multi platform. It’s also open source and written in Python, meaning you can 1) confirm it doesn’t do anything bad and 2) update/modify it if you need to. Note: speaking of modifications, there is an advanced section below for those of you interested in running the exploit in a “closed” LAN, with absolutely no internet connection. I feel this is important to be paranoid here, so I’ve added that section. double click the start.py file of the tool. If everything goes well, it should open a command window that asks you to choose which exploit to run. At the time of writing, two options are available: Specter or IDC. IDC has the most recent updates as of 12/31/217 and is therefore recommended, but this evolves quicky, and you can host your own exploit. 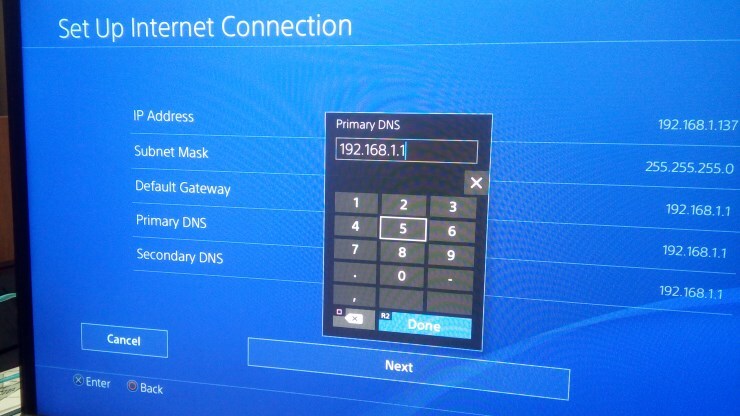 In your PS4’s internet settings, (Settings –> Network –> Setup Network), select “Manual” for DNS Settings. Set the IP Address mentioned in the step above as the Primary DNS and the Secondary DNS (note: Al-Azif mentions to set the Secondary DNS to 0.0.0.0 but in my case the PS4 refused to do that). This goes without saying, but at this point your PS4 needs to be connected to your local network, the same that your computer’s running on. 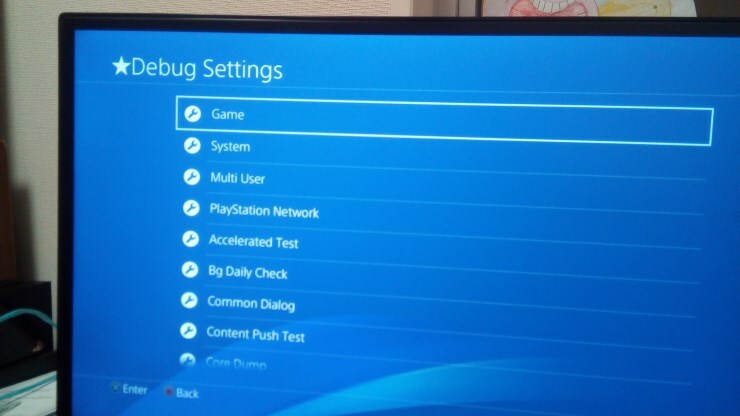 You should test your network connection on the PS4. You should be able to get an IP address and connect to the Internet, which means your PS4 found the proxy running on your PC. Everything else failing is potentially normal, depending on your setup. 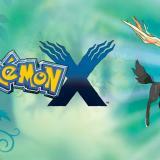 In particular, you don’t want the “Playstation Network sign in” to succeed. Note: this screenshot was taken while my local network was “off the grid” (see advanced section below). 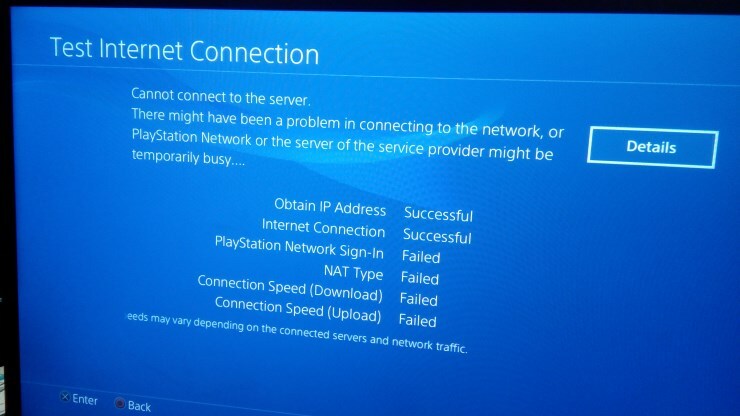 Your results might differ, but it is essential that “Obtain IP Address” and “Internet connection” are successful, while “Playstation Network Signin” Fails. Go to Settings –> User’s Guide. This should open a browser and instantly load the exploit page. On your computer, the python script will most likely display “sending exploit” to confirm this. Done. You should be able to verify that your settings page now has an extra “debug settings” option. Q: All this python thing is too complex for me, isn’t there a simpler tool out there? A: User FigaroCool has released a similar tool with a GUI for windows users. you might want to give it a try. I am not using that tool in my tutorial because it is not cross platform, and not open source, so I feel it is less flexible than the Python script, and only helps if you are having trouble with python. Al-Azif’s tool requires your computer to be connected to the Internet. 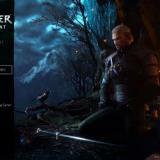 Now, in a typical network settings, as your PS4 must be on the same local network as your computer, it means they are probably connected through the same router, and, unless you’re very careful, it means there’s a chance your PS4 could end up connecting to the internet, and, at some point, to Sony’s services, which is bad for multiple reasons (it could trigger an unwanted download and installation of a more recent firmware, it could send information to Sony’s services that indicate your PS4 is hacked, who knows). Al-Azif’s tool does its best to shield you from any problem, by blocking all connections to the typical Sony systems. But it is easy to mess up, and I could perfectly imagine a scenario where my PS4 would start connecting through my router directly, which would be bad news. You can do all of the above in a local network with no internet connection. Basically, you only need to connect your computer to your PS4. 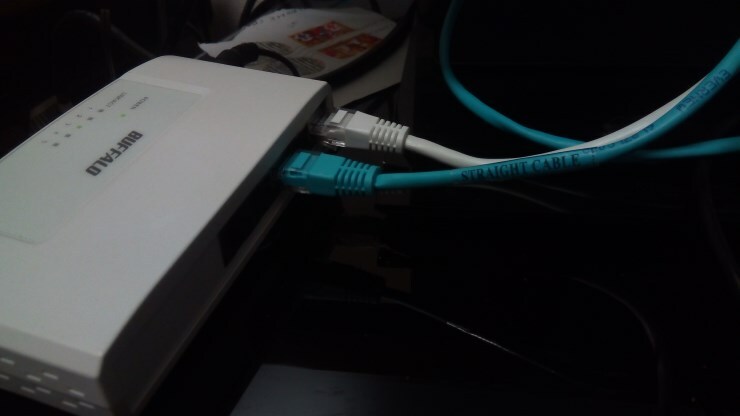 To do that, you either A) connect them directly to each other with a crossover LAN cable (I have not tried that), or B) connect them both to a hub, or C) connect them both to your router and ensure the router is not plugged to the internet. I’ll focus on B) which is what I did. A and C are probably not that different, except that by using a router you might get IPs automatically assigned via DHCP. With a Hub or crossover cable you’ll have to manually set the IPs. On the PC, I went into my network settings, and updated the IPV4 properties of my LAN connection. 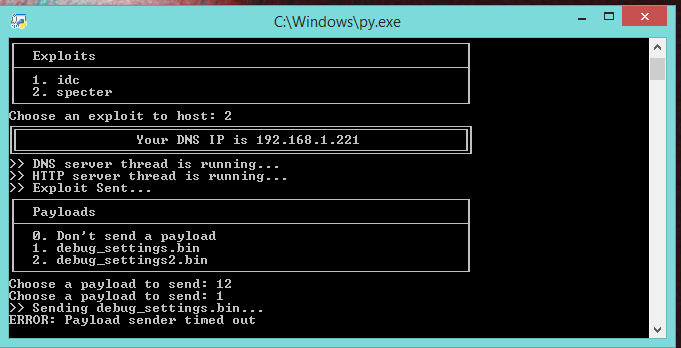 I chose tp manually set the IP to 192.168.1.1, and the Subnet mask to 255.255.255.0. 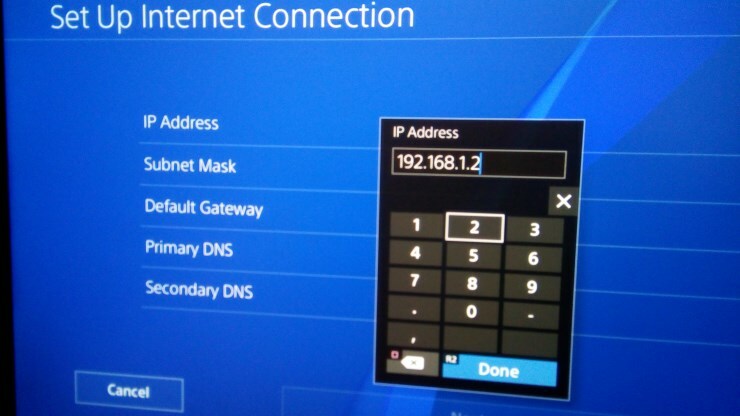 On the PS4’s Internet settings, I manually set the IP to 192.168.1.2, and also set the mask to 255.255.255.0. Note how I just return ‘192.168.1.1’ in there, which is the IP I manually assigned to my computer in my connection settings. By doing that, the script accepted to run, and that’s all that was needed. This is a quick and dirty hack, I’m not familiar enough with Python to know if there is a better (cross platform) way to get the LAN’s IP address without trying to do an external connection. I now have my PS4 and My PC connected together in a closed LAN, with no Internet interference. Ultimately, a tool such as PS4 Easy exploit hosting is the best approach as it will let you use the internet on the PS4 while only blocking the “dangerous” connection attempts, but I still like the extra security here as long as I don’t need to use the internet on my PS4. Mac users burn in h3ll. Jealous ? What a disrespectful! be careful, the new version uses python 3 ! With that ps4-exploit-host now I have full FTP access ! Now I can see the 5.03 downloaded PUP (+ 3 other files) in the “upload” folder. I would like than my ps4 stops to ask me if I want to update everytime I boot… some one has a (tested) way to clean it ? Delete PS4UPDATE.PUP ? The 4 files ? hi how did you setup ftp please reply. I used that payload https://mega.nz/#!D5pCkCha!4OFma6o1zvNd6cXj5fwthZS5dBxF40rnMxY7FeLB2gw (replace my IP 162.168.1.17 by yours) + “Easy PS4 Exploit Hosting Tool”. 10.255.255.255 is a reserved address and isn’t routable (Normally) so I thought it’d work if the internet was disconnected as it can never resolve even when connected to the WAN. I’ll add a arg to disable that check or figure out what’s going on. Can I use another port for it? PS: By using lsof -i :53, it says systemd-resolve is using this port. 1 disable dns in /etc/NetworkManager/NetworkManager.conf (comment out dns) & restart. Maybe I also run: disable sudo systemctl disable systemd-resolved.service – i dont remeber now. THANKS A LOT!!! Now it’s working! I followed this guide “https://askubuntu.com/questions/907246/how-to-disable-systemd-resolved-in-ubuntu”, but you showed me the way. Thanks Gumi. What will happen if I run the debug setting payload then update to 5.03 ? will it stay ? Anyone who can confirm if it worked? I set the IP address to automatically configure, however when I manually put in the DNS which I receive from the tool (also for some reason the IP I receive from the tool is surrounded by nonsense symbols), it won’t work! It gets the IP and recognizes the network but the internet test fails! I imagine the IP wasn’t green in color? The junk was probably the color code… Windows? will change it to the standard green. Not sure about the error. If you go to another computer (or Phone/Tablet) on the network, can you put in http://IP/document/us/ps4/index.html and see the exploit page? Are there still ps4 pro bundles out there with a fw below or at max 4.05? Hello. WHen I open Start.py.. , a windows open and close instantly…. I have Phython X64 3.01… What is the solution please? I have windows 10 64 bits. Je suis au dernier étape mais j’ai une erreur ? I keep on getting told that internet connection failed, anyone else having this issue? when my ps4 was about to run the exploit went out: V What did I do wrong? 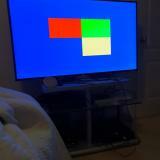 So.. With this method, can I run copied game at my PS4 console ?? 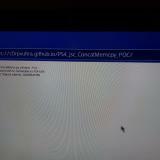 With PS4 4.05 Kernel Exploit is it possible to play the backups that are being made available? 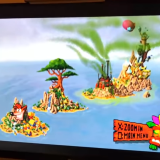 I’m a bit confused, I see some PKG playing videos of games even being initialized. 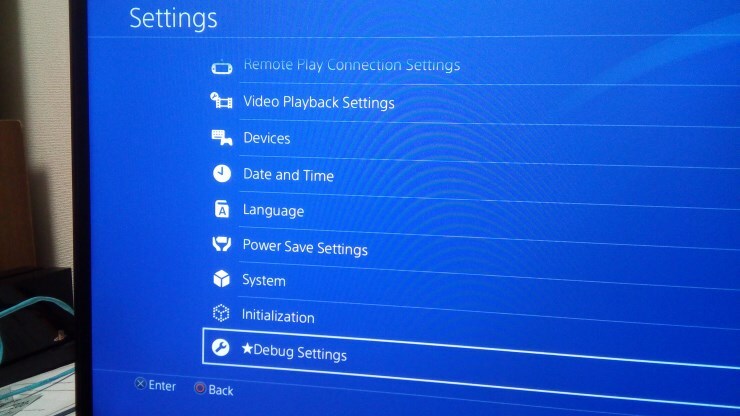 My debug settings disappear once I restart my console, is this normal? Yes this is normal, just like the vita version, u will need to restart the exploit on each boot. 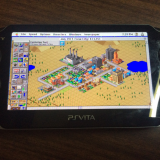 There could be perm one down the line, just like vita eventual got, but for now, this is how it works. this tutorial needs an update . the exploit tool is on another version, much newer version and everything is different. the new tool doesnt have start.py file and many other things. thanks for all your tutos !!! I cannot get this to work on Windows 10. Tried shutting down running apps. I’d appreciate any suggestions, if anyone got the same issue and managed to sort it. Really? You can play after jailbreak? i have mac on me, how i can run al azif hacking tool?